Edyn Grace is our 6 year old “princess” who has had a challenging life. She was abandoned at the hospital in Peru when her birth mother realized she was not able to take care of another child. Edyn was born premature with multiple health issues, most of which were not discovered until she was a few years old. She is Deaf, and was diagnosed with Cerebral Palsy. Thankfully she was taken to an Orphanage in Peru run by Christian missionaries to the Deaf. She spent the first 5 years of her life there in an environment where she was cared for and nurtured to the fullest extent possible. God called our family to adopt in November, 2010. It was a providential meeting between several families in which God connected us to the Orphanage where Edyn was living. Three years later and after God had provided over $36,000 for adoption and travel costs, our family was able to travel to Lima, Peru to complete the adoption. We flew back home on December 20th, 2013. God be praised! Edyn Grace’s Gotcha Day, December 5, 2013! Read more about His story for Edyn Grace on our blog MorefortheHouse. Since returning to the US, last December, multiple tests have been performed in working with more than 6 doctors to determine whether or not the diagnosis Edyn was given in Peru was an accurate one. In short, we found that she does not have Cerebral Palsy. Rather, she has been diagnosed with a rapidly progressive Ataxia (muscle weakness and lack of muscle coordination) of unknown etiology. Essentially, she has, over the last 3-4 months, lost a significant amount of her mobility. She has much trouble controlling her core muscles and as a result began to fall repeatedly. 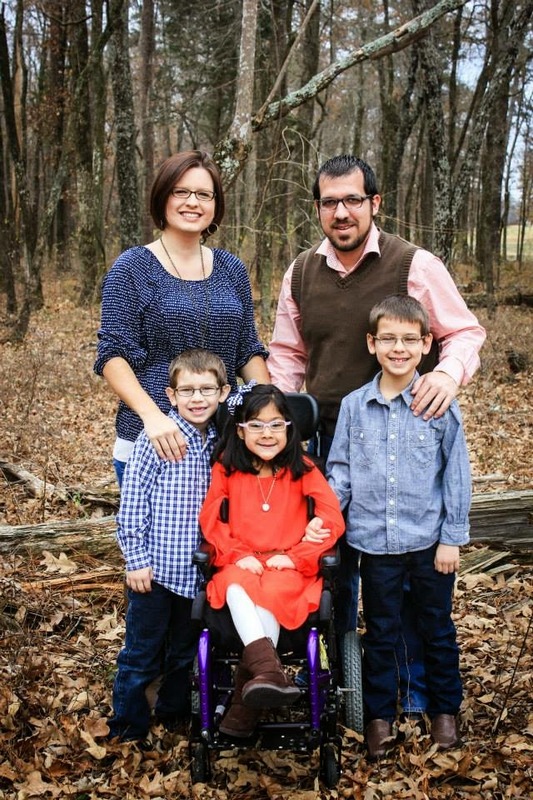 There are many different variations of Ataxia, and we are still awaiting a recent test to ascertain which kind she has.This of course has changed our family’s everyday life, quite drastically. Edyn now uses a wheelchair for mobility. She currently has a pediatric manual wheelchair while we await insurance approval on a powered chair. Currently, with her manual chair, we wheel her up next to our van, help her stand and take a few steps towards her seat, then hoist her into her seat as we cannot brace her wheelchair in our current van. 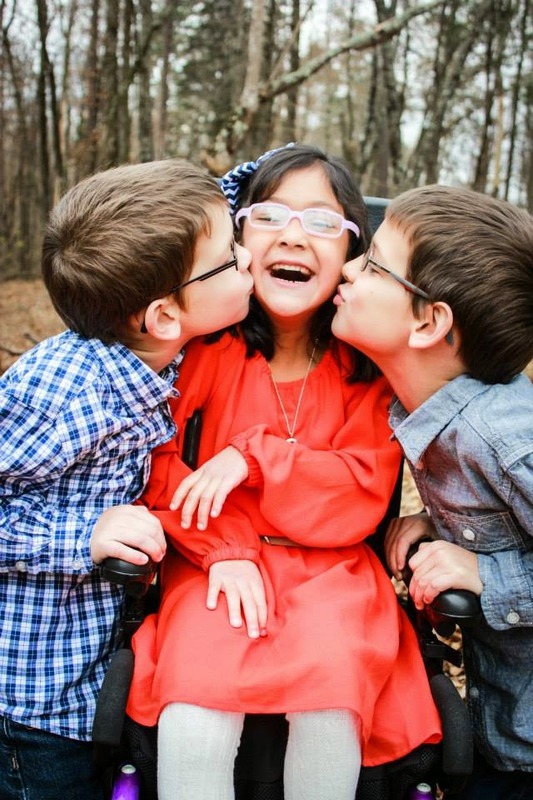 Once Edyn’s power chair arrives, we will not be able to transport her in our current van and will need to obtain a wheelchair-accessible van. These vans are expensive! Even a used, 2011 van (wheelchair-accessible) with 54,000 miles has a price tag of $35,000. We are seeking approval for a low interest loan through our State’s Rehabilitation service office, but even at that–with the traditional 7 year loan–our monthly payment will be substantially higher than any vehicle payment we have ever had. We have had many people ask how they can help, and to be truthful- the things we need most are prayer for God’s wisdom and funds towards the purchase of an “Edyn Grace Van”. Would you consider helping us in this endeavor? Click on this link or on the DONATE button above to go to the Signs for Hope website to donate now!